It seems like every day that we have a patient make a comment or ask a question regarding the effectiveness of a dental cleaning. Whether this is someone marveling over how clean their teeth feel, wondering what makes our cleanings so different from their home care routine, or even doubting the treatment before it even begins, this mystery seems ever-present. When you schedule a routine cleaning with your dentist, you will likely received a mixed care from both the dentist and their hygienist. 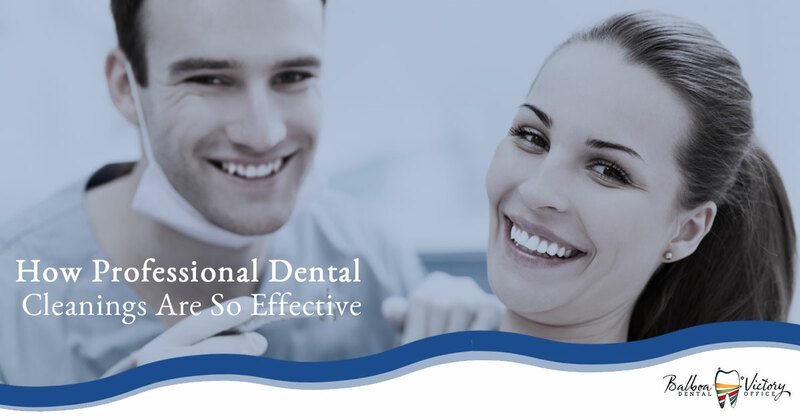 It is the hygienist’s role to provide the routine cleaning, while your dentist seeks out and addresses more pertinent issues, including basic examination and any necessary deep cleanings or periodontal treatments. Today, we’re mostly looking at those routine cleanings. First off, we have nothing against brushing; actually, if anything, we are “Team Brushing.” To say that we want you to brush twice daily is an understatement – at best. Brushing plays a vital role in your oral health that is likely far greater than your recommended twice annual cleaning sessions, regardless of the difference between the two. Brushing regularly is just that important. That said, brushing and flossing at home isn’t perfect. While this practice goes a really long way toward keeping your mouth healthy, you simply can’t reach all of the odd cracks, crevices, and angles found on your teeth and gums alone. Plus, even if you could, food particles can quite easily accumulate on teeth, leaving stains and potential spots for decay growth behind. When you receive a professional dental cleaning, your teeth receive a much more thorough cleaning from more powerful tools and equipment backed by an experienced hand operating a different angle, all of which creates a result that you can’t hope to replicate at home. While this isn’t often talked about, one of the most important roles of regular dental screenings is to catch the signs of oral cancers as early as possible. While less common than many other major cancers, oral cancer can wreak havoc on your body; many patients with an oral cancer are required to undergo intense treatments due to the high risk of the cancer cells spreading into the bloodstream and finding their way into the heart, lungs, or other major organs. While not often innately lethal in its own right, oral cancer can grow and spread throughout the body rapidly if left unchecked. During your teeth cleaning, the dentist and their staff will be on the lookout for the signs of common oral cancers. Thanks to this practice, thousands of lives are saved each year nationwide – primarily among those that receive regular screenings and dental cleanings. Get in touch with the friendly staff at Balboa Victory Dental with any questions you may have about our dental care, practices, and specifics about what to expect at your screening or cleaning – we love to answer those questions! At the end of the day, our entire staff just wants to assist your family find the dental care that is best for you, so we’re truly happy to help in any way.